Apple's 15-inch Retina MacBook Pro has come a long way since the first Retina models were unveiled in 2012. AppleInsider looks at all the changes that six years have wrought. Apple on Thursday unveiled the latest refresh of the MacBook Pro line. The new line features quite a few new features that improve on the most recent MacBook Pro lines, introduced in 2016 and 2017. The new line includes Apple's True Tone technology, previously only available on the iPad Pro, while also adding "Hey, Siri" functionality and a new version of the butterfly key mechanism. And while the base model 13-inch model is mostly unchanged, the Touch Bar model now uses the T2 Chip. AppleInsider has already compared the 2018 13-inch MacBook Pro to its immediate predecessor. While the Retina Display made its overall debut on the iPhone 4 in 2010, it made its first appearance on a MacBook with the Retina MacBook Pro line that was introduced in 2012. That line was unveiled at the WWDC in June of that year by Phil Schiller. "You want a next-generation MacBook Pro to have a killer new display," Schiller said to cheers. "You want it to have an architecture built for the future. You want it to be radically thin and light. And of course you want it to be bold and embrace the newest technologies, to be willing to discard the old legacy things so you can make something unlike any other notebook that's been made to date." Schiller touted both the display and thinness of the 2012 version, but six years later both have improved, along with other aspects of the Retina MacBook Pro. Both the 2012 and 2018 editions offer Apple's Retina Display, but the newest version is more advanced. The 2012 version offered 2880-by-1800 resolution at 220 pixels per inch, along with around 300 nits brightness. The new version starts at 2880-by-1800 native resolution at 220 pixels per inch and 500 nits brightness. The new version, meanwhile, offers TrueTone technology, which was not available in any previous model. As AppleInsider explained on July 12, TrueTone technology is an Apple innovation which maintains the white balance of the display the same in appearance to the user, regardless of the ambient light around the screen. The system works by using the four-channel sensors to detect the ambient light that can affect the perception of the display. The purpose of the technology is to avoid straining of the eyes or other discomfort, as well as avoiding user exposure to blue-colored light. Graphics-wise, the 2012 edition offered Intel HD Graphics 4000, along with NVIDIA GeForce GT 650M with 1GB of GDDR5 memory, with automatic graphics switching. 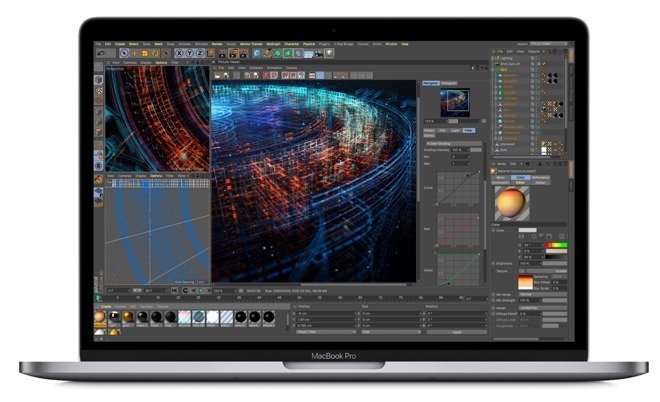 The new Retina MacBook Pro version offers Intel UHD Graphics 630, with Radeon Pro 555X or 560X with 4GB of GDDR5 memory and also has automatic graphics switching. The 2012 Retina MacBook Pro model came equipped with a 2.7GHz quad-core Intel Core i7 (Turbo Boost up to 3.7GHz). The new model, meanwhile, offers 2.2GHz 6-core Intel Core i7, Turbo Boost up to 4.1GHz, with 9MB shared L3 cache, or a 2.6GHz 6-core Intel Core i7, Turbo Boost up to 4.3GHz, with 9MB shared L3 cache, depending on the model. The 2018 edition is configurable to 2.9GHz 6-core Intel Core i9, Turbo Boost up to 4.8GHz, with 12MB shared L3 cache. That's an increased clock speed, but not by a significant amount. That is likely related to Intel's slowing down of their chip innovation cycle, which was expected in 2016 to lead to longer amounts of time between MacBook refreshes. Reports earlier this year stated that Apple is looking to drop Intel in favor of its own chips starting in 2020. Apple claims "70 percent faster performance" with the 2018 MacBook Pro versus the 2017. Indeed, the initial Geekbench scores for the new 15-inch MacBook Pro show a range of between 4343 and 5317 for single-core and 14375 through 22439 for multicore depending on configuration. Geekbench posted a multi-core score of 3456 single-core and 13484 for the high-end, 2.7 GHz $3400 configuration of the 2012 Retina MacBook Pro. At the time of its release, the MacBook Pro of 2012 touted up to seven hours of wireless web browsing, with a built-in 95-watt-hour lithium-polymer battery. The 2018 edition advertises up to 10 hours of both wireless web and iTunes movie playback, with an 83.6-watt-hour lithium-polymer battery. The 2012 15-inch Retina MacBook Pro 2012 weighs 4.46 pounds (2.02 kg) and is 0.71 inches (1.8 cm) thick. The new version of the 15-inch MacBook Pro is lighter and thinner. It weighs 4.02 pounds (1.83 kg), and is just 0.61 inches (1.55 cm) thick. In addition, the bezel is much thinner on the 2018 MacBook Pro. Here's one category that illustrates just how much MacBook design has changed over the last six years. The 2012 Retina 15-inch MacBook used a MagSafe 2 power port, two original Thunderbolt ports, one HDMI port, two 5 gigabit per second USB 3.0 type A ports, and a SD card reader. The new 15-inch MacBook Pro offers four 40 gigabit per second Thunderbolt 3 USB-C ports utilizing the USB-C connector. It can also connect to VGA, HDMI, and Thunderbolt 2 via adapters or by USB-C to HDMI or DisplayPort cables. 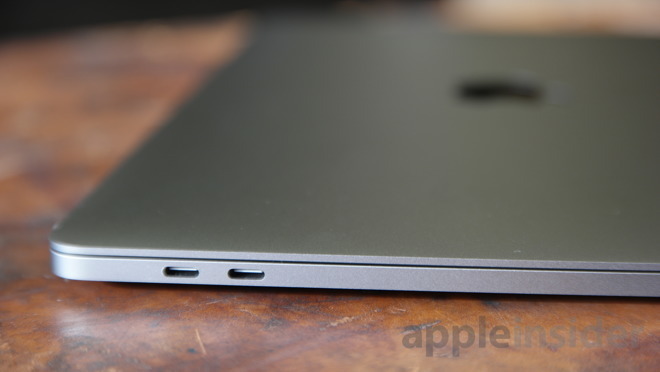 Apple's use of fast charging USB-C ports, while continuing to use basic 5-watt adapters, has been a matter of much controversy among Apple users. However, adapters for USB-C-to-other cables are widely available, as are Thunderbolt 3 docs. The 2012 edition offered stereo speakers with subwoofer, dual microphones and audio line in and out. The new MacBook Pro offers stereo speakers with high dynamic range, a trio of microphones and a 3.5 mm headphone jack. In addition to all of that, the 2018 MacBook Pro offers a variety of features that didn't exist yet when the 2012 model was unveiled. This includes the Touch Bar, "Hey Siri," and TouchID authentication. 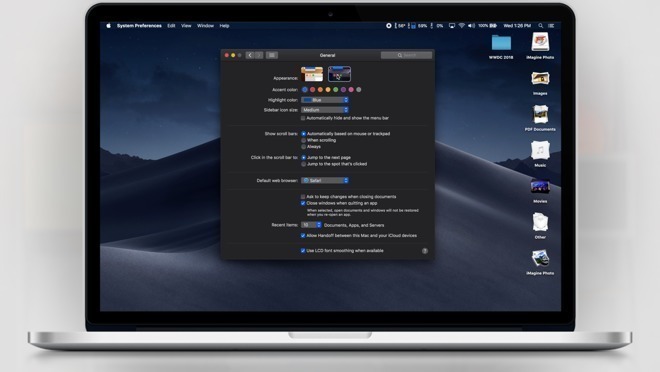 And while the 2012 Retina MacBook Pro was contemporary with OS X Mountain Lion and will support Mojave in the fall, the 2018 edition supports High Sierra now, and Mojave when it's released this fall. So you've been the owner of a Retina MacBook Pro from the 2012 generation and you're thinking about upgrading. Deciding whether or not now is the time to do so depends on several factors. If you're not a fan of USB-C, or you're not happy with the speed of Intel's chip innovations, or new features like the TouchBar or "Hey, Siri" don't matter to you, or you're simply happy with what you're getting from the 2012 model, you may be better off holding off for now. But, getting it serviced by Apple might be a problem. While the 2012 Retina MacBook Pro remains a fine machine that's held up reasonably well over time, the 2012 device is headed for obsolescence, and repairs at Apple's retail stores will likely no longer be possible before the year is up. On the other hand, the new Retina MacBook Pro is a clear improvement over the original. The display, speed, and battery life are better, and you'll have the advantage of a brand new machine over one that's several years old. And, Thunderbolt 3 with USB-C might be painful at first, but won't kill you.